Pakistan and the United States reportedly have been holding discussions about Islamabad’s possible admission into the Nuclear Suppliers Group. Pakistan and the United States have been holding discussions about Islamabad’s possible admission into the Nuclear Suppliers Group (NSG) and the Pakistani actions that would open the door to such a move, according to reports in several media outlets and accounts by a former Pakistani official and other observers contacted by Arms Control Today. In these descriptions, Pakistan would take certain arms control measures and in return would gain the international legitimacy of membership in the NSG. The group, which currently has 48 members, sets guidelines for nuclear trade so that the exports do not contribute to proliferation. The NSG is not a formal organization, and its guidelines are not binding. By all accounts, any NSG deal with Pakistan would be substantially different from the one reached with India in 2008. At that time, the NSG agreed to an exception to its rule that banned exports to countries such as India that did not open all their nuclear facilities to international inspections. 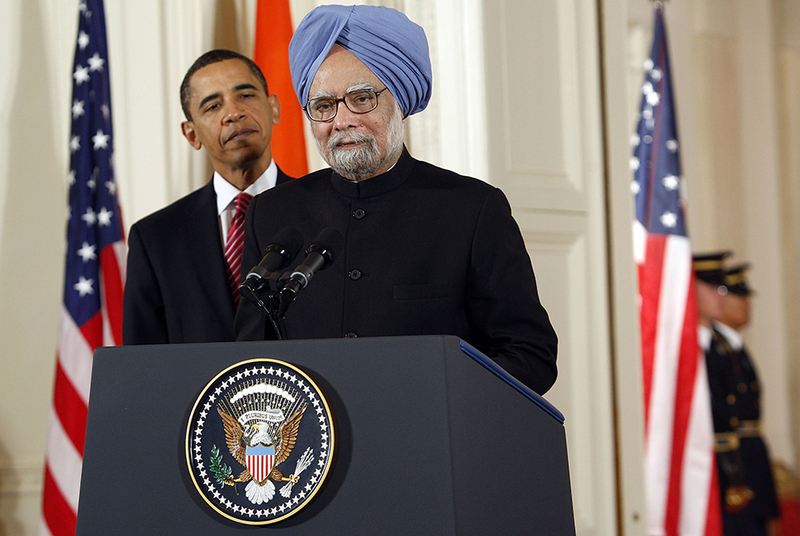 Admission to the NSG was not part of that package, but in November 2010, U.S. President Barack Obama endorsed India for NSG membership. (See ACT, December 2010.) The NSG, which operates by consensus, has not agreed to that step. In conjunction with the 2008 NSG waiver, the U.S. Congress approved a cooperation agreement that allows nuclear trade with India although New Delhi operates nuclear facilities that are not under International Atomic Energy Agency safeguards. Since the U.S. and NSG exceptions for India were granted, Pakistan has complained of unfair treatment and argued that the suppliers should adopt a so-called criteria-based approach for countries that do not meet the group’s requirement of a fully safeguarded nuclear program. Under this approach, these countries would have to take certain steps to demonstrate they are responsible nuclear states. Like India, Pakistan uses its unsafeguarded nuclear facilities to produce material for a nuclear weapons program. A few days earlier, after Pakistani Prime Minister Nawaz Sharif’s Oct. 22 meeting with Obama in Washington, Indian media reported similar comments by an unnamed U.S. official. One congressional analyst said in an Oct. 27 interview that the senior administration official’s formulation might not preclude an effort to bring Pakistan into the NSG if it were by the criteria-based approach. The official declined to comment on that possibility. If the NSG accepted Pakistan as a member and allowed trade with Islamabad, “companies other than those from China are unlikely to invest in Pakistani nuclear power stations,” Dalton and Krepon said. China currently has an active nuclear trade with Pakistan in spite of the NSG guidelines. In an Oct. 27 interview, Feroz Khan, a retired Pakistani brigadier general and former director of arms control and disarmament affairs in the Strategic Plans Division of Pakistan’s National Command Authority, said discussions with Pakistan on “nuclear normalization,” including entry into the NSG, have been taking place “for quite some time.” Some of the actions under discussion were similar to the ones described in the Dalton-Krepon report, he said. 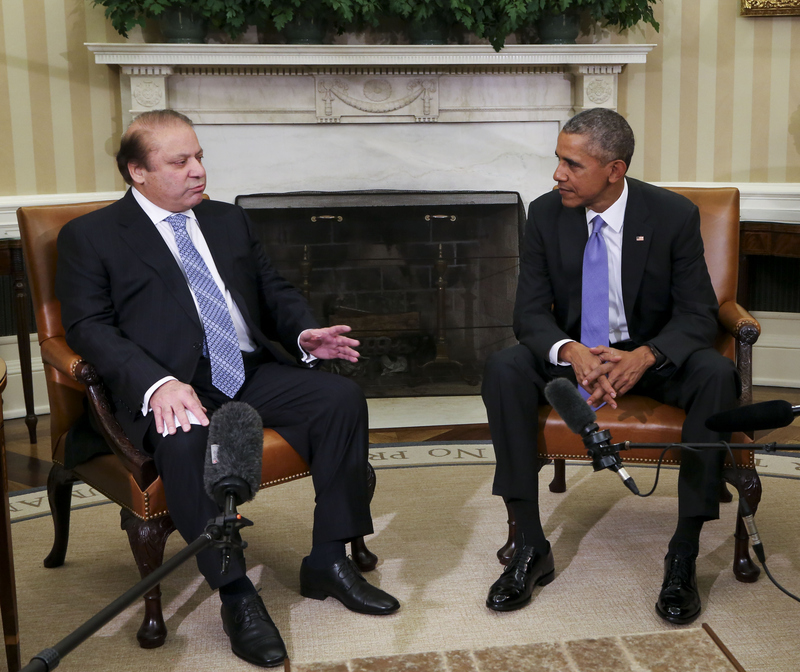 But Pakistan and the United States have not agreed on “a clear road map,” he said. 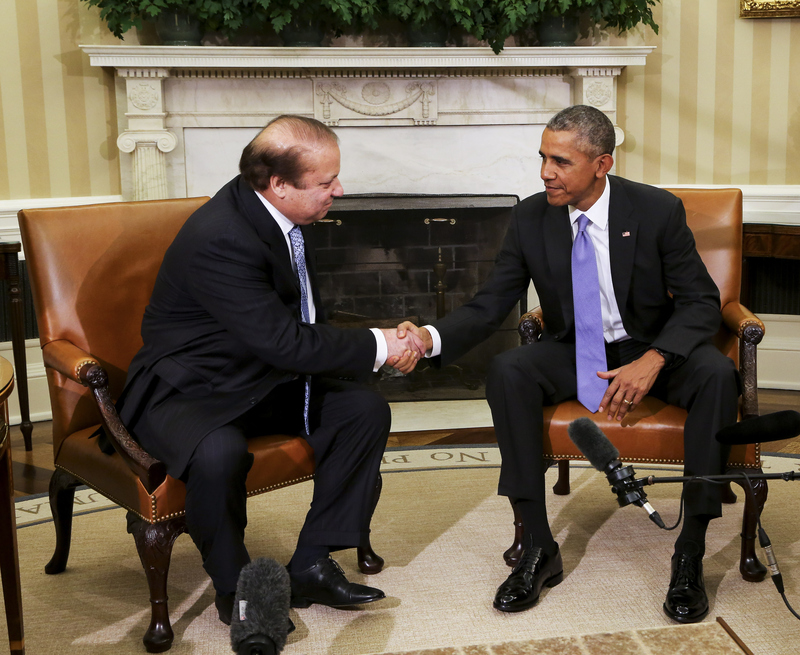 The U.S. and Pakistani governments have not officially confirmed the discussions about Pakistani NSG membership, but an Oct. 16 Wall Street Journal story quoted a senior U.S. official as saying, “The idea is to try to change the dynamic, see if helping [the Pakistanis] on the NSG would be a carrot for them to act” to place some restraints on their nuclear weapons program. The discussions were first reported by Washington Post columnist David Ignatius. Pakistan last month tested a nuclear-capable ballistic missile that officials in Islamabad say has a range that makes it capable of reaching targets in all of India and parts of the Middle East. A Shaheen-3 was test-fired into the Arabian Sea on March 9, the officials said. The Shaheen-3 is a medium-range ballistic missile capable of delivering a nuclear warhead 2,750 kilometers, according to Pakistani officials. Earlier versions of the missile had an estimated range of 2,500 kilometers with a nuclear payload. In February, days after India’s most recent test of the Agni-5, Pakistan tested an air-launched cruise missile, the Raad. It is a nuclear-capable cruise missile with a range of about 350 kilometers and incorporates “stealth capabilities,” according to a Feb. 2 release from the Inter Services Public Relations office, a press branch of Pakistan’s military. Pakistan has been developing the Raad for the past several years. Pakistan is likely to remain focused on improving its short-range ballistic missiles and cruise missiles, despite India’s advances in long-range ballistic missiles, experts say. Pakistan is likely to remain focused on developing and improving short-range ballistic missiles and cruise missiles to deter India’s conventional military superiority despite the second successful test of India’s long-range, nuclear-capable Agni-5 missile, experts said in recent interviews. Although India and Pakistan are nuclear rivals, New Delhi’s forays into longer-range missile systems do not seem to be spurring reciprocal developments in Islamabad. In a Sept. 20 e-mail to Arms Control Today, Naeem Salik, a retired Pakistani brigadier general, wrote that Pakistan is “not unduly concerned” with India’s development of longer-range missiles, such as the Agni-5, because it would not be cost effective to fire them at reduced ranges to target Pakistan. 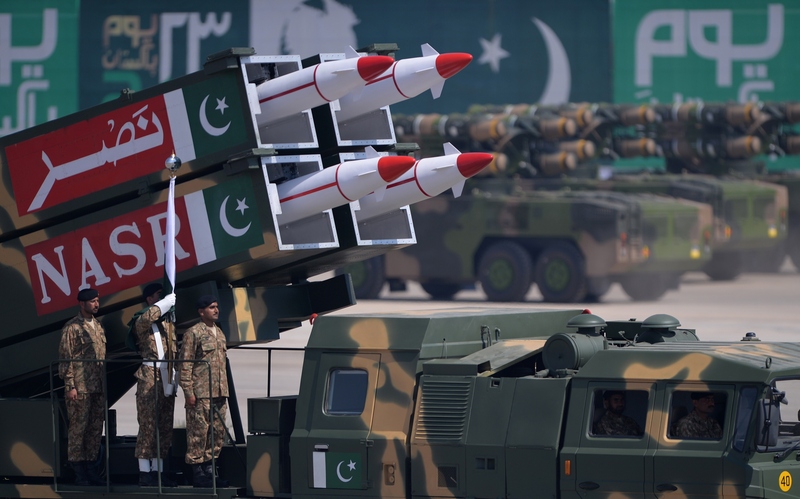 Because Pakistan’s nuclear weapons are “aimed only at India,” Salik said, Pakistan does not require longer-range systems because Islamabad can reach “any target” in India with its current inventory of missiles. Salik added that Pakistan’s “self[-]imposed restraint” on its missile ranges also is a “conscious decision” not to develop missiles that would allow Islamabad to target Israel. This prevents “unnecessary hostility” from Israel and “pro-Israel lobbies in the United States,” he said. In a Sept. 19 e-mail, Toby Dalton, a former senior policy adviser to the Office of Nonproliferation and International Security at the U.S. Energy Department, offered an analysis similar to Salik’s on some key points. Pakistan is not responding “solely or even primarily” to India’s nuclear developments but rather to New Delhi’s “conventional military plans and growing [conventional] capabilities,” he wrote. Dalton, now the deputy director of the nuclear policy program at the Carnegie Endowment for International Peace, said that India’s nuclear developments are “primarily driven” by China’s growing nuclear arsenal and Beijing’s presumably growing conventional forces. The reported 5,000-kilometer range of the Agni-5 puts it just below the 5,500-kilometer threshold for classification as an intercontinental ballistic missile (ICBM), but it is capable of reaching most of China, including Beijing, and the Middle East. Chinese Foreign Ministry spokesman Hong Lei said Sept. 15 that China “noted relevant reports” of the Agni-5 test and that “both sides should make concerted efforts to enhance” political trust and stability in the region. 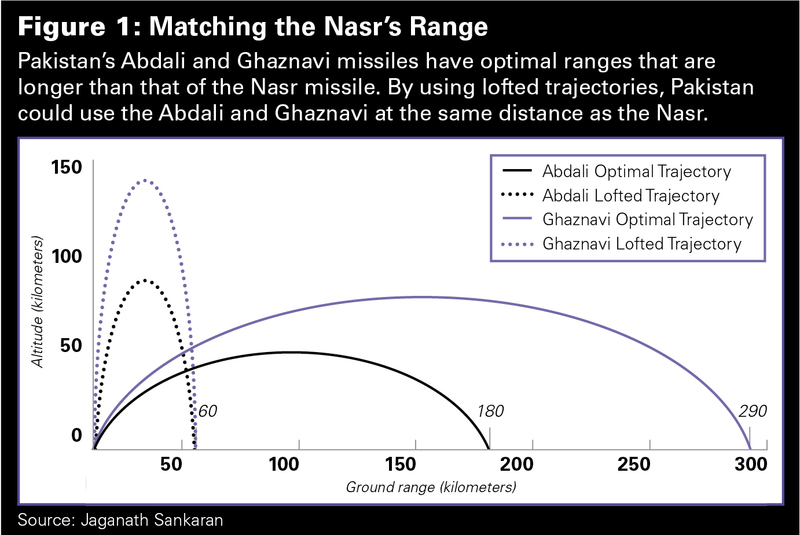 As India pursues longer-range systems, Salik said that Islamabad is focused mainly on development of two types of missiles: cruise missiles and short-range ballistic missiles. The emphasis Islamabad is placing on cruise missile development is important, Salik said, because of India’s “ongoing efforts to indigenously develop or acquire ballistic missile defense systems.” Ballistic missile defense systems are not designed to target cruise missiles. For the past several years, Pakistan has been testing several types of cruise missiles, including the Babur, which has a range of 700 kilometers with a 300-kilogram payload. The Babur can also be launched from naval surface platforms. Islamabad also is testing an air-launched cruise missile, the Raad, which has a range of 350 kilometers. Salik noted that the Raad will give Pakistan a “stand-off capability,” which allows pilots to launch a weapon at a distance from the target, thus allowing them to avoid defensive fire. Pakistan also has been focusing more attention on its short-range, nuclear-capable ballistic missiles, including the Nasr. Islamabad began testing the Nasr, which has a range of 60 kilometers, in April 2011. It is “ostensibly for use as a battlefield nuclear weapons delivery system” to deter India from launching its Cold Start strategy, Salik said. Cold Start is India’s conventional military doctrine aimed specifically at responses to Pakistani incursions into India. It involves quick, limited strikes into Pakistani territory. India’s conventional military capabilities exceed those of Pakistan. Dalton said that Pakistan is focusing on shorter-range systems to deter Indian conventional operations to address “substrategic” deterrence gaps. Pakistan’s current focus on short-range systems does not preclude the development of longer-range systems in the future, but at this point, “the objective of such a development is not clear,” Dalton said. In a Sept. 15 press release, the DRDO called the successful Agni-5 test a “major milestone” and announced that the missile will now be tested from a canister, which is how the missile will eventually be deployed. Recent statements indicate that New Delhi plans to focus on increasing the range of its ballistic missiles in the future. 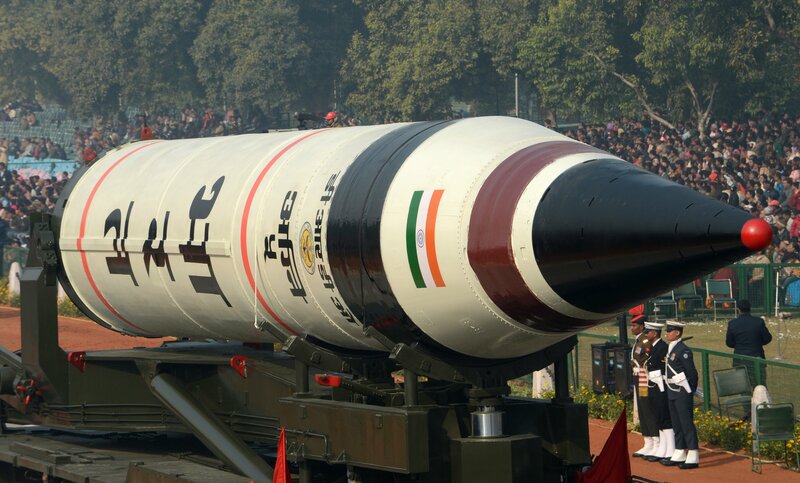 India is in the initial stages of developing an ICBM with a range of at least 6,000 kilometers, the Agni-6, DRDO officials have said on several occasions. In his Sept. 15 comments, Chander said that increasing the range of future ballistic missiles is the “least problematic” area for India. New Delhi could develop a missile with a 10,000-kilometer range in two and a half years, he said. India does not currently “see the need” for that range, he said. The DRDO is working on technology for multiple independently targetable re-entry vehicles (MIRVs), which will allow future Agni missiles to carry several warheads. Although the Agni-5 is being tested with a single warhead, the Agni-6 could be equipped to carry up to 10 nuclear warheads, a DRDO scientist told the New Indian Express on Sept. 18. The attack last August against the Kamra military air base in Pakistan reignited concerns about the threat that terrorists could pose to the security of the Pakistani nuclear arsenal. There is no doubt that recent attacks on military targets in Pakistan have increased in number and boldness. So far, however, the targets of the attacks have not been military installations that contain nuclear weapons or components. Yet, the confluence of increased terrorist activity in Pakistan, the country’s ongoing political instability, and the growing size of the Pakistani nuclear arsenal is increasing the challenge to Pakistan’s nuclear security. The number of facilities and people that produce and use sensitive nuclear materials and technologies in Pakistan is increasing, raising the bar for personnel screening and infrastructure protection. Last summer, there was a reported threat by the Taliban to attack the nuclear complex at Dera Ghazi Khan, a remote town in southern Punjab, but the attack failed to materialize. Since 2001, Pakistan, cognizant of the terrorist danger, has taken a number of steps to improve the command and control system for its nuclear assets and the screening and training of employees in its nuclear enterprise. As with all security systems, constant vigilance and a culture of continuous improvement are important to deter and, if necessary, respond to threats. The U.S. government has put forth a message of reassurance regarding Pakistan’s nuclear security. President Barack Obama and top administration officials have consistently said since 2009 that they have confidence that Pakistan takes its security mission seriously and that its physical protection and training are adequate and improving. This is in part a result of collaboration between the Pakistani and U.S. governments on best practices for the security of Pakistan’s nuclear infrastructure. These interactions have led to better training and equipment. Despite these assurances, a number of specialists around the world remain skeptical of the security steps that Pakistan has taken. There are several explanations for this perspective. One is that foreign experts and journalists have highlighted the danger when reporting on Pakistan’s nuclear program. Also, within the country, the media, politicians, and anti-nuclear activists raised a number of questions about the ability of the Pakistani nuclear security establishment to protect and defend its nuclear assets against an intruding force in the wake of the Osama bin Laden raid at Abbottabad by U.S. special forces in May 2011. In an article written after a 2009 visit to Pakistan, former U.S. Department of Defense official Lawrence J. Korb recounted various doomsday scenarios for Pakistan and argued that “given the strategic location of Pakistan and the fact that it has nuclear weapons, it’s easy to see why some might embrace a worst-case scenario. But based on my visit, I don’t buy it at this time.” Although made four years ago, his point is still valid; the situation on ground is not as bad as it may appear to distant observers. Yet, there is much that the U.S. and other governments do not know about the Pakistani nuclear arsenal, despite closer cooperation, especially between the United States and Pakistan, over the past decade. The overarching reason for the recurring concerns is the prevailing internal security situation in Pakistan. The nightmare scenario is that, in the event of a political collapse in Pakistan, things could spiral out of control and even the best training and equipment could not be relied on to keep terrorists away from Pakistan’s weapons. Understandably, distant observers will find it difficult to accept the notion that the nuclear installations in Pakistan are islands of stability and security in the midst of a generally chaotic security and political environment, especially when so little information on Pakistan’s nuclear security regime is available. This is a major reason why the recent attacks on military bases have raised alarm about the security of Pakistan’s nuclear infrastructure. The Taliban attack in August 2012 on the Pakistani air force base at Kamra, northwest of Islamabad, made headlines in the international media and renewed concerns about the security of Pakistan’s nuclear weapons. Many news reports speculated about the presence of at least a part of the Pakistani nuclear arsenal being at the base. Despite the reporting, the Kamra base does not have nuclear weapons. A Pakistani government spokesman denied that any nuclear weapons were stored at the base, and U.S. military and diplomatic officials ruled out the possibility that the attack on the base posed any threat to nuclear weapons. The August attack was the third on the Kamra base and the most threatening so far. The target of the first attack, in December 2007, was a school bus carrying children of base employees on a public highway outside the base. In the second attack, a suicide bomber blew himself up at the main entrance to the base. The August attack was carried out by nine militants who breached the perimeter fence but could not penetrate much farther due to timely response by the security forces. All of the attackers were killed during the ensuing shoot-out. The base houses a major aeronautical complex with facilities for production of avionics equipment and the overhaul and assembly of aircraft, including jet trainers and the JF-17 Thunder, which China and Pakistan jointly developed. At the time of the August attack, some aircraft with airborne warning and control systems were parked on a tarmac that suffered some damage from rocket-propelled grenades fired by the militants. A recent attack by Afghan Taliban on Camp Bastion, a British military base in Afghanistan’s Helmand province, has proven that even a facility located in a desolate area and protected with some of the most sophisticated sensors can be penetrated. The attackers destroyed five aircraft worth millions of dollars at a base that some have described as the safest place on earth. Pakistani air bases cover a large area protected by barbed wire fences, which are not too difficult for an organized and determined attacker to breach. The aircraft parked on the runway are soft targets that can be observed from a distance and hit with relatively unsophisticated weapons. In addition, it should be kept in mind that the objective of the suicide bombers is to cause maximum damage, not to seize equipment or materials. In an address at the United Nations last September, Pakistani Foreign Minister Hina Rabbani Khar said that her country takes nuclear security “very seriously.” Islamabad’s efforts in the 15 years since its 1998 nuclear tests give some support to that claim. In February 2000, Pakistan announced the establishment of a National Command Authority (NCA), with the Strategic Plans Division (SPD) as its permanent secretariat. The responsibilities of the NCA include deploying and employing the nuclear force, coordinating Pakistan’s strategic organizations, dealing with arms control and disarmament issues, and overseeing implementation of export controls and the safety and security of nuclear installations and materials. The NCA has a three-tiered structure with two committees. The Employment Control Committee and the Developmental Control Committee constitute the first tier, the SPD the second tier, and the three services’ strategic force commands the third tier. The SPD is responsible for the daily management of Pakistan’s strategic assets, coordinating with all strategic organizations and overseeing the budgetary and administrative aspects of these organizations. The primary responsibility of the services’ strategic force commands is to exercise technical, training, and administrative control over the strategic delivery systems. Operational control, however, rests with the NCA. Islamabad also established the autonomous Pakistan Nuclear Regulatory Authority (PNRA) in January 2001. In 2004, comprehensive export control legislation was promulgated, with control lists meeting the guidelines of the Nuclear Suppliers Group, Missile Technology Control Regime, and Australia Group, which covers exports that are potentially relevant to biological or chemical weapons. Since then, rules and regulations and administrative structures have been developed for the effective implementation of the export control law. In late 2007, an NCA ordinance was issued to regulate the functioning of strategic organizations such as the Pakistan Atomic Energy Commission (PAEC) and the Khan Research Laboratories, which have played a central role in Pakistan’s nuclear weapons program. The ordinance also specified criminal activities and the legal powers and procedures to deal with any infringements of the law. The ordinance was passed as an act of parliament in 2010. From the perspective of nuclear security, however, the most significant organization is the security division of the NCA. The organization has grown exponentially over the years from a very modest beginning and is headed by a two-star general, who currently has 20,000 personnel under his command. This strength is projected to reach a total of 28,000 men in the next few years. The division is responsible for the physical security of all sensitive nuclear sites through a layered system of defense with inner and outer perimeters augmented by electronic sensors and counterintelligence teams. It screens all personnel inducted into any component of the strategic program in concert with other intelligence agencies in the country. It also administers an improved and rigorous Personnel Reliability Programme. It is useful to recount some of the most significant developments of the NCA Security Division. Initially, the division’s security force comprised mostly retired military personnel. More recently, however, it set up a state-of-the-art training academy in Kalar Kahar, comparable to the U.S. Department of Energy’s National Nuclear Security Administration’s academy in Albuquerque, New Mexico. The new Pakistani academy provides specially selected Pakistani recruits with training similar to that given to the special forces. These recruits have become the backbone of the nuclear security force and gradually will replace most of the retired military personnel. Through field exercises and war games, Pakistan regularly tests the capabilities of the upgraded security force. The SPD training academy also is going to house a mock nuclear facility that is being designed and built in collaboration with the PNRA. This will become a “center of excellence” for security forces training and, under the auspices of the International Atomic Energy Agency (IAEA), will offer training facilities to other countries. The security division also has constituted an elite response force and an emergency response center at its headquarters in Rawalpindi to deal with an emergency at any nuclear facility. It has installed radiation detection monitors at various entry and exit points. These portal monitors are in addition to the ones installed by the PNRA. Pakistan also has taken steps to improve nuclear safety. In his address to the annual IAEA General Conference in Vienna last September, PAEC Chairman Ansar Parvez said Pakistan had been “actively engaged in absorbing lessons” from the March 2011 accident at the Fukushima nuclear reactor complex in Japan. The PAEC has “identified a comprehensive set of safety retrofits” that are “in various stages of implementation,” he said. The PNRA has set up the School for Radiation and Nuclear Safety, where it holds regular courses, workshops, and tabletop exercises to train first responders in handling a radiation emergency. It includes the customs service and other border control agencies. The PNRA also has established a National Radiation Emergency Coordination Center at its headquarters in Islamabad and has put in place the national Nuclear Safety Action Plan to guide the organizations acting as first responders to a nuclear or radiological emergency. The Pakistan Institute of Engineering and Applied Sciences has introduced master’s degree-level courses with a specialization in nuclear safety, mainly, to train new PNRA personnel. Pakistan also has benefited from cooperation and exchanges of information on best practices with friendly countries, including the United States, and has maintained a vibrant, cooperative relationship with the IAEA. Despite an impressive inventory of actions, Pakistani efforts to provide information about all these developments domestically and internationally have not been adequate. This has contributed to the continued skepticism about Islamabad’s ability to protect its nuclear assets. Yet, one avenue through which Pakistan has been able to play an active role in advocating for and taking action on global nuclear security issues is the nuclear security summit process, in which Pakistan is one of the more than 50 countries that have participated. There have been two nuclear summits, in Washington in 2010 and in Seoul in 2012. A third is planned for The Hague in 2014. Participants at the summits endorsed a number of important steps, including President Barack Obama’s goal of securing all vulnerable nuclear material in four years. The national leaders who attended the summits underscored the importance of maintaining effective security over all nuclear materials on their territory; encouraged the conversion of reactors that use highly enriched uranium (HEU) to low-enriched uranium; and recognized the importance of the International Convention for the Suppression of Acts of Nuclear Terrorism and the Convention on the Physical Protection of Nuclear Material and its 2005 amendment. (The amendment would extend protection requirements beyond the original agreement, which covers nuclear material while in international transport, by expanding the coverage to apply to nuclear facilities and to materials in peaceful domestic use and storage.) Pakistan has acceded to the convention on physical protection but not to the 2005 amendment or the nuclear terrorism convention. Summit participants also supported full implementation of UN Security Council Resolution 1540, which requires all countries to enact legislation to prevent the proliferation of nonconventional weapons and their means of delivery, and recognized the continuing importance of the IAEA and its nuclear material security guidelines and activities. The participants also supported the actions of the Global Initiative to Combat Nuclear Terrorism (GICNT). Other ambitious objectives of the summits included the removal and disposal of nuclear materials no longer needed for operational activities and the minimization of the civilian use of HEU. The participants also agreed to consider plans to consolidate nuclear material at fewer national storage sites. Pakistan has submitted four reports to the UN committee overseeing the implementation of Resolution 1540, thus meeting an international nuclear nonproliferation and security obligation that a number of countries have not met. Islamabad is an active participant in the GICNT, especially on issues related to nuclear forensics and efforts to upgrade the international community’s ability to detect nuclear and other radioactive materials in order to prevent nuclear trafficking. At the Washington and Seoul summits, individual countries made commitments to improving domestic regimes for nuclear security. Approximately 80 percent of these national commitments were fulfilled between 2010 and 2012. Pakistan did not make any unilateral commitments at the 2010 summit, but it did at the summit in 2012, when it pledged to open a nuclear security training center and signed the Joint Statement on Nuclear Security Training and Support Centers. The center is intended to serve as a regional and international hub for training in nuclear security; in the joint statement, Pakistan joined with 22 other countries in forming what will amount to an international network on that issue. In Seoul, Pakistan also agreed to continue deploying portal monitors to detect special nuclear material as a means of impeding the illicit trafficking of nuclear and radioactive materials. In addition, it offered to provide nuclear safety and security assistance under IAEA auspices to interested states. Pakistan has taken a number of actions related to nuclear security and safety beyond those it pledged at the summits. It has intensified collaboration with the IAEA by joining “collaborating centers,” which are designed to standardize technology, disseminate information, and facilitate research and learning on a range of issues related to IAEA activities, including nuclear safety and security. It also is participating in the development of the IAEA Nuclear Safety Action Plan. It has incorporated some of the lessons of the Fukushima accident, including holding an international seminar on nuclear safety and security and developing a radiation emergency response mechanism and a Nuclear Security Emergency Coordination Center. It also is considering a program for upgrading physical protection of civilian nuclear power plants. It is not yet clear how the Pakistani steps on nuclear security and safety should be seen. On one hand, if they represent the limits of Pakistan’s movement toward transparency and cooperation, they are disappointing. On the other hand, they represent an evolution from Pakistan’s previous opaqueness, and that may lead to further progress. Pakistan is located in a very dangerous neighborhood; it has a history of political instability; and terrorist activity in and around the country remains significant. 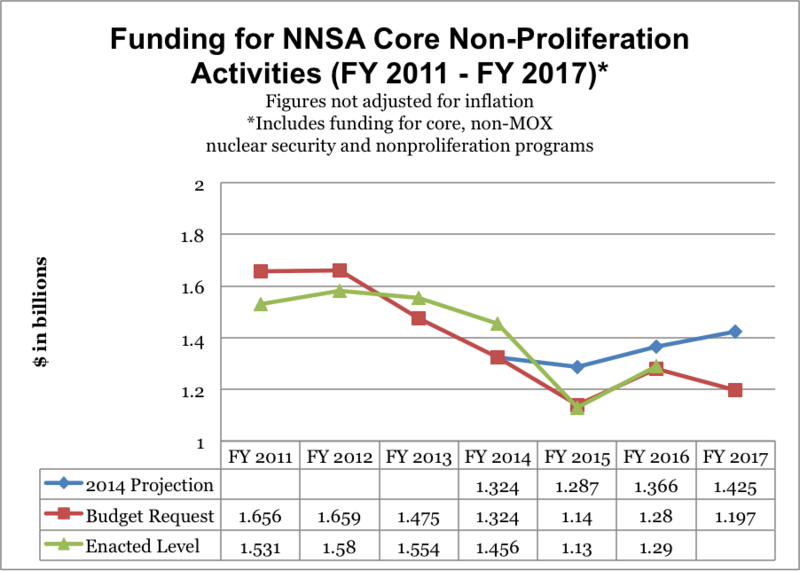 Control of the nuclear program resides primarily with military authorities, which are not very transparent about nuclear security and weapons operations. There is only modest civilian oversight. These distinguishing features make the security of the Pakistani nuclear weapons program and its infrastructure a global concern, which is unlikely to diminish anytime soon. As a result, all acts of terrorism in the country, especially those directed at military targets, are going to raise concerns and invite scrutiny and skepticism of official assurances of control. Pakistan has taken its responsibility for nuclear security seriously. It has collaborated with the United States on best practices, training, and personnel screening. It is participating in international forums devoted to preventing nuclear terrorism and improving nuclear security. It has made strides domestically to improve the legal and regulatory system for preventing proliferation of sensitive materials and technologies. Not least, the authorities in Pakistan, the first Islamic country to possess a nuclear weapon, recognize that the nuclear weapons program is deeply intertwined with national identity and that security of its nuclear infrastructure is a top priority. Domestically or internationally, it cannot afford a loss of control. Yet, there is more that Pakistan can and should do to provide confidence to the international community that its nuclear program employs the highest level of safety and security. First, there is the need to accept all international instruments that underpin the current nuclear security regime, including the nuclear terrorism convention and the 2005 amendment to the convention on physical protection. Also, as the Fukushima nuclear accident highlighted, the decision by any country, developed or developing, to remain insular and opaque on matters of nuclear safety and security can be harmful to that country and its neighbors. Although the sovereign control of nuclear assets remains the dominant model at present, there is an increasing recognition that countries have an international responsibility to prevent the unauthorized release of radiation or the theft of materials from their facilities. Both dangers directly affect other countries. These concepts of sovereignty and international responsibility should not be in competition. Both are important and need to be balanced. There should be a commitment to the highest levels of nuclear security at home and a willingness to provide nonsensitive information on these actions to the global community. This process could begin with the actions listed above, first as a voluntary activity and then evolving into a codified requirement for all countries over time. These steps offer the best combination of assurances and can improve international confidence in Pakistan’s nuclear security. Naeem Salik, a retired general in the Pakistani army, served as director of arms control and disarmament affairs at the Strategic Plans Division of Pakistan’s National Command Authority from 2001 to 2005. He currently is a Ph.D. candidate in political science and international relations at the University of Western Australia. Kenneth N. Luongo is president of the Partnership for Global Security and a former senior adviser on nonproliferation policy to the U.S. secretary of energy. 1. Lawrence J. Korb, “The Security of Pakistan’s Nuclear Arsenal,” Bulletin of the Atomic Scientists, May 19, 2009, http://www.thebulletin.org/web-edition/features/the-security-of-pakistans-nuclear-arsenal. See “President Obama’s 100th-Day Press Briefing,” The New York Times, April 29, 2009; General David H. Petraeus, interview with Chris Wallace, Fox News Sunday, Fox, May 10, 2009, http://www.realclearpolitics.com/articles/2009/05/10/fox_news_sunday_david_petraeus_96429.html; “Pak Nukes Safely Guarded, Says Narayanan,” Press Trust of India, December 16, 2007, http://indiatoday.intoday.in/story/Pak+nukes+safely+guarded,+says+Narayanan/1/2524.html. 2. Michael Krepon, “Sy Hersh and Pakistan’s Nukes,” Arms Control Wonk, November 19, 2009, http://krepon.armscontrolwonk.com/archive/2539/sy-hersh-and-pakistans-nukes; Ejaz Haider, “Leave Us Alone and Worry About Yourself!” Daily Times (Pakistan), January 13, 2009. See Joby Warrick, “Pakistan’s Nuclear Security Questioned,” The Washington Post, November 11, 2007; David E. Sanger, “Trust Us: So, What About Those Nukes?” The New York Times, November 11, 2007. 3. Jane Perlez, “Pakistan Army Under Scrutiny After U.S. Raid,” The New York Times, May 5, 2011; Zahid Hussain, Matthew Rosenberg, and Jeremy Page, “After Raid, Confused Response,” The Wall Street Journal, May 9, 2011. 5. Declan Walsh, “Pakistani Air Force Base With Nuclear Ties Is Attacked,” The New York Times, August 15, 2012. See Shaiq Hussain, “Militants Storm Pakistan Air Base,” The Washington Post, August 16, 2012; Kelsey Davenport, “Militants Attack Pakistani Base,” Arms Control Today, September 2012. 7. Davenport, “Militants Attack Pakistani Base”; Kelsey Davenport and Marcus Taylor, “Pakistani Security Called Adequate,” Arms Control Today, October 2012. 8. “Pakistan Security Brief,” AEI Critical Threats, October 1, 2012, http://www.criticalthreats.org/pakistan-security-brief/pakistan-security-brief-october-1-2012-0; “Pakistani Minister Insists Nuclear Weapons Are Under Tightest Protections,” Global Security Newswire, October 2, 2012, http://www.nti.org/gsn/article/pakistani-minister-insists-nuclear-weapons-are-under-tightest-protections/. See “Pakistan’s Nuclear Programme Fully Secure: FM Khar,” Associated Press of Pakistan, September 29, 2012. 9. For details of the National Command Authority (NCA) and the salient points about the export control law, see Kenneth N. Luongo and Naeem Salik, “Building Confidence in Pakistan’s Nuclear Security,” Arms Control Today, December 2007. 10. Strategic Plans Division officials, conversations with Naeem Salik, Kalar Kahar, Pakistan, August 8, 2012. 11. NCA Security Division senior officials, interview with Naeem Salik, Rawalpindi, August 6, 2012. 12. “Purchase of Safety-Related Nuclear Equipment: Pakistan Slams Curbs by Some Countries,” Dawn, September 19, 2012, http://dawn.com/2012/09/19/purchase-of-safety-related-nuclear-equipment-pakistan-slams-curbs-by-some-countries/. 13. Among states with nuclear weapons, France, Israel, North Korea, and the United States also have not ratified the International Convention for the Suppression of Acts of Nuclear Terrorism or the 2005 amendment to the Convention on the Physical Protection of Nuclear Material. 14. Michelle Cann, “2010 Nuclear Security Summit National Commitment Implementation,” U.S.-Korea Institute at SAIS, March 2012, http://uskoreainstitute.org/wp-content/uploads/2012/03/USKI_NSS2012_Cann.pdf. An Aug. 16 attack on a Pakistani military base by militants has raised concerns about the security of the country’s nuclear weapons, although Pakistani officials denied that nuclear weapons are stored at the base. Located northwest of Islamabad in Kamra, the Minhas air base includes facilities for manufacturing various weapons systems, including the assembly plant for the Mirage and JF-17 fighter jets. According to U.S. experts, the Mirage may be nuclear capable, and nuclear weapons might be stored at the facility. The Pakistani Taliban claimed to have been behind the attack, which lasted approximately two hours and resulted in the deaths of nine militants and one base official. According to base officials, the aircraft storage hangars were the primary target of the attack, and one aircraft was damaged by the militants. This is the fourth attack on the Minhas base since 2007. During the prior three attempts, however, the militants did not enter the facility. A former brigadier general in the Pakistani army told The Washington Post on Aug. 16 that nuclear weapons are not being kept in the “known places, such as the air or naval bases.” Known nuclear facilities, however, are located near the Minhas base, including a uranium-enrichment plant and plutonium-production reactors. In an Aug. 16 press briefing, U.S. State Department spokeswoman Victoria Nuland said that, “at this moment,” the U.S. government does not have “any information” that would “contradict” Pakistan’s statement saying that there are no nuclear weapons or materials at the base and that there was no reason for concern over the security of the arsenal. Over the past several years, the United States has provided Islamabad with assistance in securing its nuclear arsenal. In April 2009, as the Taliban expanded its presence in western regions of the country, Pakistani government officials shared information on their nuclear program with the United States and other Western countries to allay concerns about the security of the nuclear arsenal. Pakistan is believed to possess approximately 90 to 110 nuclear warheads, deliverable by missiles and nuclear-capable aircraft. The Minhas base attack is the third on a major Pakistani military base in the past three years. In May 2011, Taliban militants attacked Mehran naval base near Karachi and destroyed two U.S. surveillance aircraft. They remained inside the base for approximately 18 hours. In 2009 a Pakistani army facility was attacked and hostages were held in a compound at the facility’s headquarters for 22 hours before a military raid ended the crisis.